Quentin Tarantino has filed a lawsuit against Gawker Media for publishing links to the leaked script of his now-shelved Western The Hateful Eight. Quentin Tarantino was none too pleased when his first-draft script for The Hateful Eight, which he'd given to a half-dozen people to check out, leaked out to agents who began calling him to pitch their clients for roles. He was so upset that he put the whole thing on hold, not just because of the leak itself but because of what he felt was a betrayal. "I give it out to six people, and if I can't trust them to that degree, then I have no desire to make it," he said. Now, however, the script has leaked beyond just agents and actors and is in the hands of the general public thanks to Gawker Media, which last week published links to the script in its entirety. Because of that, Tarantino has filed suit, claiming that it "crossed the journalistic line" by promoting itself as the go-to source of the script rather than just reporting on the leak. "Gawker Media has made a business of predatory journalism, violating people's rights to make a buck. This time they went too far," the complaint states. "Rather than merely publishing a news story reporting that Plaintiff's screenplay may have been circulating in Hollywood without his permission, Gawker Media crossed the journalistic line by promoting itself to the public as the first source to read the entire screenplay illegally. Their headline boasts, 'Here Is the Leaked Quentin Tarantino Hateful Eight Script' - 'Here,' not someplace else, but 'Here' on the Gawker website." 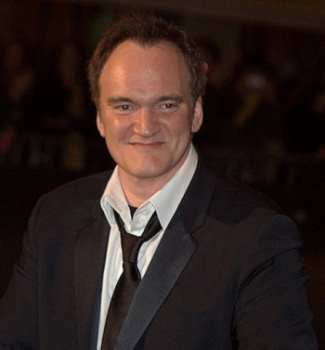 The complaint claims that Tarantino believes the public at large would not have become aware of the leak or discovered the script were it not for Gawker's efforts. Furthermore, a Tarantino rep issued a DMCA infringement notice to Gawker demanding that the links be removed, but not only did Gawker "expressly refuse" to do so, it actually added a link to a second source of the script three days after the original post went up. "There was nothing newsworthy or journalistic about Gawker Media facilitating and encouraging the public's violation of Plaintiff's copyright in the screenplay, and its conduct will not shield Gawker Media from liability in their unlawful activity," the lawsuit says. Tarantino is seeking "actual damages and Defendants' profits in an amount exceeding $1,000,000 to be determined at trial," plus statutory and punitive damages, legal fees and an injunction against Gawker prohibiting it from continuing to link to or otherwise make use of the script "in violation of Plaintiff's copyright."